There are many reasons you may have to think about updating your resume. Perhaps you have lost interest in your job, or you think you have achieved everything you set out to do in this role. Maybe it is time for a change. Leaving your job will be your own decision, and you will be able to make the transition on your own timeline. Or, you have been taking a break to raise a family, and you are ready to step back into the job market. But not every exit from or back into the workplace happens in such an organised and predictable way. Updating your resume is a daunting task and guaranteed to bring out the procrastinator in all of us. But you are not going to get far in your search without a current resume, and the worst situation to find yourself in is casually looking at job openings, realising one of them resonates with you, and then scrambling to complete your resume updating in a timely fashion. But even if you do not fall into either of categories, it is a good idea to be regularly updating your resume. Experts say that every 6-12 months is a good yardstick because as your skills grow, your desired career direction alters. 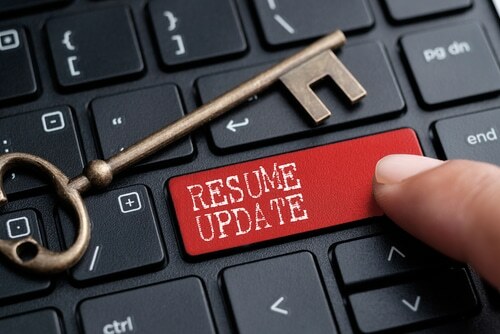 If you have not been updating your resume regularly, you will likely have information on there that dates you, making you look stale. And with recruiters spending six seconds viewing a resume, you cannot afford to be anything less right on target. 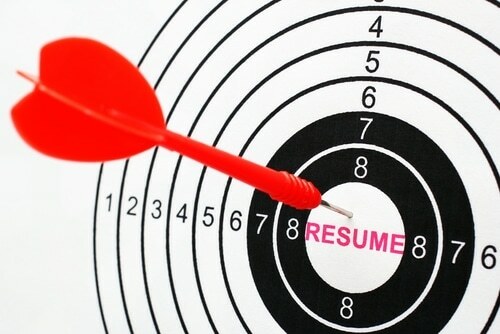 Your resume needs to be readable. Avoid using more than one font. Keep paragraphs short. Now, make sure your basic details are up-to-date – address, contact details, references. Take a look at the overarching career arc you are following. With that in mind, is time to prune some of those earlier non-applicable positions from your resume? Although it is good to show upward progression, employers are primarily interested in the last 7-10 years of your work history. Then add your most recent positions, and once this is done take a look at your career summary and outlook. Have your goals changed since your last update? No matter what your career objectives once were, you are probably not in the same state of mind now. Your goals and priorities evolve all the time, and your resume summary and outlook must reflect this. If you have achieved further professional development in the way of certification, tickets or degrees, add these, the most recent first. The language in your resume has to be positive. Avoid using a negative voice anywhere within the resume. You should also try to avoid passive voice. In sentences with passive voice, it remains unclear who or what is acting. This results in very distant writing. Texts using a lot of passive voice tend to be hard and unattractive to read. Avoid using (as much as you can) the passive voice altogether. For example, rather than “The employees are informed about their financial contribution”, use “The manager informs his employees about their financial contribution”. Use industry-specific and positive keywords. When a hiring manager looks through a pile of resumes, they scan each resume to find these keywords. Many companies even use applicant tracking systems (ATS), also known as talent management systems, to screen candidates for job openings. One way an ATS works is to discard resumes that are missing certain keywords. Your application may be rejected if the software does not detect any keywords. By embedding keywords in your resume or cover letter, you will demonstrate, at a glance, that you fit the requirements of the position. If you feel this is all too much like hard work, help is at hand. Select Resumes have years of experience and have helped hundreds of individuals with updating their resumes to fighting weight. Get in touch today and have a chat with one of our consultants.